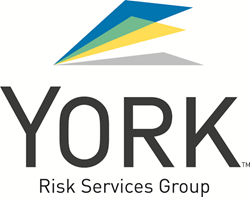 York Risk Services Group (York), a premier provider of claims management, managed care, specialized loss adjusting, alternative risk programs, pool administration and other insurance services, today announced that Louis E. (Lou) Keyes has joined the company as Executive Vice President and Chief Sales Officer. Mr. Keyes will direct the sales and account management teams for all of York’s diversified insurance solutions. “York offers a comprehensive array of insurance solutions. As our clients’ risk management needs become more complex, we want to provide the insight, expertise and services that help them understand and effectively manage that risk. Having Lou manage our entire sales and client services strategy ensures that York is and will remain the partner of choice for our clients,” said Thomas W. Warsop, III, Executive Chairman of York. “As an accomplished leader, Lou knows how to drive sales innovation, growth and customer satisfaction. We are very pleased to have him join the York team,” he added. Mr. Keyes has more than 25 years’ experience building and leading successful sales and account management teams. He comes to York from Fiserv, Inc., where he was the Senior Vice President, Enterprise Accounts. He has also held senior sales, sales leadership, and client services roles at Electronic Data Systems Corporation and Hewlett-Packard Enterprise Services. “York is committed to providing high-quality solutions and services tailored to clients’ specific needs and to bringing to market products and approaches that address the new risks that emerge every day. This approach has made York a leader in the industry and it’s exciting to be part of that process and this organization,” commented Keyes.